With over 25 years’ experience in the field of electrical CAD, Trace Software is renowned for designing and creating innovative products. Trace Software solutions facilitate the generation and design of electrical projects, through automation, standardization and agility. 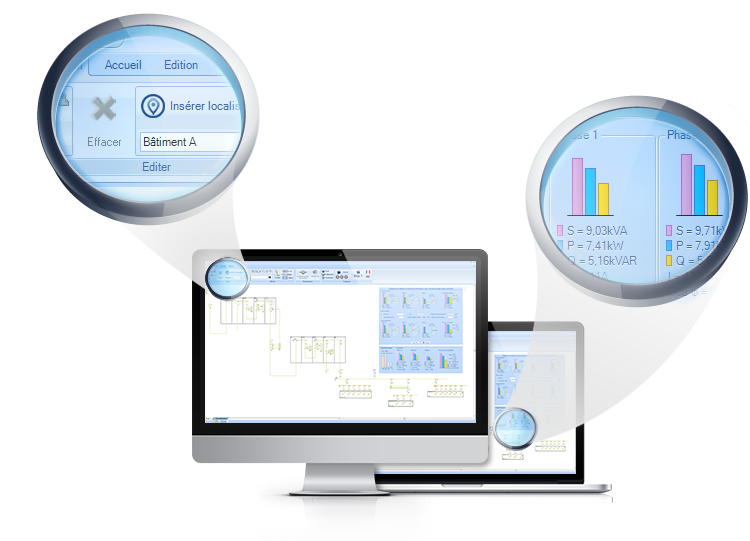 Under the premise of developing an intuitive software, elec calc ™ is based on the philosophy of Windows, taking special care to every single detail to make this solution easily and pleasantly usable. Accessible, customizable and intuitive commands as well as dynamic and contextual menus allow a direct access to specific instructions at any time. It also includes features which are existing in any Microsoft software, as the Undo / Redo and the Copy / Paste buttons, available at multiple levels,in addition to other software typical commands. The product has contextual menus and a ribbon interface allowing you to access naturally commands as the project develops. The one-line diagram is drawn very quickly using drag / drop from the component distributor. All components can be customized according to the project. The software has a positioning grid (that can be disabled), the components have intelligent connection points. In addition, the Intellisense feature proposes, when performing the one-line diagram, the most likely components to be connected to the selected one. Icons linked to the components allow to show the alerts and messages, notes, related documents, specific environment parameters, manufacturers’ references, …..
elec calc ™ enables the user to store in a personal library parts of installation that can be reused in various projects by drag / drop. All customizations of a project can be saved in templates that can be reused for another project. The electrical installation can be drawn on several tabs that are “electrically” interconnected. The one-line diagram is then drawn in a both intuitive and assisted way enabling significant time savings. The graphical interface is configurable and available in several languages, so that accessing the menus and commands is not a barrier when using the software. The software is currently available in 5 languages: English, French, Spanish, Chinese and Dutch.